The lucrative game of maxing out credit card rewards may soon come to an end with some consumers hitting the points-and-miles jackpot and others being left out. The end appears to be near because card companies have tired of consumers who’ve binged on the best rewards without generating commensurate card company profits. Major retailers also have complaints about how big rewards programs work. Big banks originally offered attractive rewards to motivate consumers to apply for new cards, become steady customers, and boost profits. Instead, many consumers gamed the system, signing up for cards, spending just enough to secure big signup bonuses and then abandoning the cards or paying their balances in full every month to avoid interest charges and late-payment fees. Consumers also learned to cancel premium cards before they had to pay the annual fees that card companies often waived for the first year. The Wall Street Journal recently described a couple who flew around the world with free business-class airline tickets, thanks to big signup bonuses from their his-and-hers Chase Sapphire Reserve® cards and points they’d accumulated from other cards. Their trip took them from San Francisco to Taiwan, Japan, Serbia, and Germany, and then home again. The Chase Sapphire Reserve® card took the market by storm with a 100,000-point signup bonus in 2016. Introduced in the summer of 2016, the Chase Sapphire Reserve® card initially offered a 100,000-point signup bonus, worth $1,500 in travel, for customers who spent $4,000 in the first 90 days after they obtained the card. Gaming card reward programs was once a niche pursuit. Over time, however, it has become a mainstream hobby. That has hurt card companies since they have to pay for the rewards their customers redeem. Some card companies have already cut back some of their card perks. Vox reports that Chase no longer offers price protection while Citi has limited this perk, which reimburses consumers when they find a lower price for a previous purchase. Discover and American Express have also limited some of their card benefits, according to the Vox article. Smaller signup bonuses and fewer card perks may cause consternation, concern, and disappointment for savvy consumers who aim to optimize their rewards and live large at the card companies’ expense. For these card enthusiasts, high-value cards like the Chase Sapphire Reserve®, American Express® Gold, and Marriott Rewards® Premier Credit Card “aren’t just cards that facilitate everyday spending . 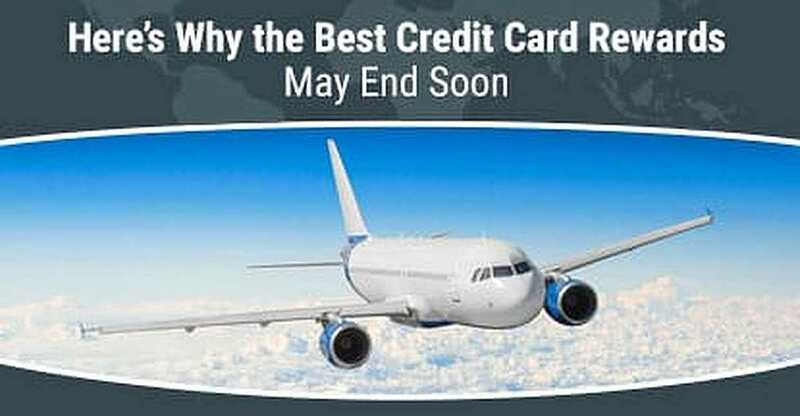 . . They’re an essential way to score things like free flights and cash back,” according to Vox. By the way, the 100,000-point signup bonus for the Chase Sapphire Reserve® card was halved in early 2017 to 50,000 points, worth $750 in travel. That’s still more than enough to offset the card’s $450 annual fee. Chase Sapphire Reserve® cardholders can typically earn a 50,000-point signup bonus so long as they haven’t received a Sapphire line signup bonus within the past 48 months. Retailers aren’t happy with consumer card habits either. Some are so determined to quash cards that offer especially valuable rewards that they’re arguing their case in court. Merchants currently aren’t allowed to choose which cards within a brand they want to accept. Instead, if they accept some cards with a brand (e.g., Visa, MasterCard), they must accept all cards within that brand, including the expensive ones. Amazon, Target, and Home Depot are among the retailers that want to choose which individual cards within a brand they’ll accept, The Wall Street Journal reported. Given that choice, retailers likely would refuse the cards with the biggest rewards since those are the most costly for them. That would be unwelcome news for consumers who use those cards. Despite the controversy, card companies aren’t likely to severely curtail or outright end their reward programs anytime soon. Rather, they’ll probably rejigger their cards to offer less attractive signup bonuses and fewer perks. Rewards will be designed to discourage gaming and encourage — or should we say “reward” — more profitable card use. Happily, some cards still offer great benefits right now. Here are five to consider while you can still apply for them. You’ll need good or excellent credit to be approved. Capital One announced the addition of transfer partners to its travel rewards program in late 2018, making the big signup bonus offered by this card even more valuable. Even better, the annual fee is waived for the first year, which means no fees to eat into your bonus. With this card, you’ll receive a large signup bonus when you meet the minimum spend on new purchases in the first 90 days after you open your account. Those points are worth 1.25¢ each when you redeem them for travel through the Chase Ultimate Rewards® portal. Earn three points per $1 for spending up to $150,000 per year for travel and select business categories. With the Capital One® Venture® Rewards Credit Card, you can use your miles to fly with any airline or stay at any hotel with no blackout dates, or transfer your miles to more than a dozen travel loyalty programs. There’s no annual fee. Meet the minimum spend on new purchases in the first 90 days after you open your account to earn the Chase Sapphire Preferred® Card‘s signup bonus. For the typical 50,000-point bonus, you can redeem through Chase Ultimate Rewards® for $625 in travel. You can also transfer your points, one-for-one, to select airline and hotel loyalty programs. The annual fee for the Preferred card is much less than the premium Reserve card currently offering a similar signup bonus. This card offers a no-annual-fee way to earn transferable Venture miles, but the Capital One® VentureOne® Rewards Credit Card bonus isn’t quite as large as that for its more expensive sibling. However, you can earn the same 10X miles per dollar at thousands of hotels, and redeem your miles to fly with any airline or stay at any hotel with no blackout dates.